Convenient resealable bag- great for travel! Just add hot water and wait 3 minutes, it's that quick and easy! Moderately sweetened with Maple Syrup, perfect as it is, or you can also add fresh fruit, butter/ghee or any of your favorite hot cereal additions. A delicious and healthy alternative to oatmeal or any other grain-based, gluten containing hot cereal out there. 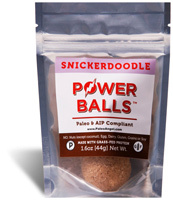 The packaging is sturdy and resealable to keep the product fresh. 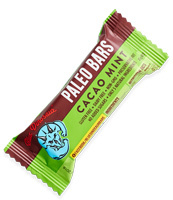 Please note: This is the exact same product you've enjoyed from the "On The Go Paleo" brand for over 2 years. It's made by the same company with the exact same formula, it's just now being branded under the "Pure Traditions" brand.